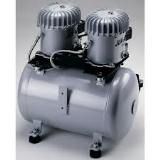 For over 20 years Jun-Air has been supplying their global customers the quality products that they want; these world-class products can now be bought through the dedicated team at CJS Direct Ltd, a leading distributor for the full Jun-Air range of superior quality products that Jun-Air offer. 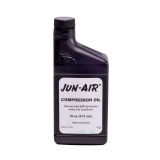 CJS Direct Ltd are based in Birmingham not only stockist for Jun-Air compressors but also service kits, lubrication oil and all Jun-Air spares, many items are kept in stock at our state-of-the-art warehouse facilities in Witton. Our location provides for easy access on and off the M6 motorway at Spaghetti Junction. Browse through our on-line store and if you have any questions then our sales team will be happy to discuss any requirements you might have; give them a call to discuss any thoughts, questions or queries you might have, and that includes price!